Effanbee started production in 1912 with early composition dolls, and although their dolls are now made in hard plastic and vinyl, the same commitment to quality remains despite the company's ups and downs. They are currently owned by Tonner Dolls in the States, who make a huge variety of modern dolls, including some for specialist collectors. 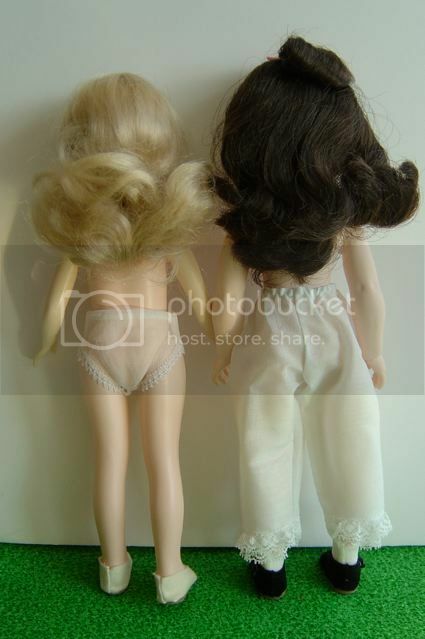 These are lovely quality dolls, with long, ultra-thick hair, closing eyes and nicely made clothing. They stand 28cm/11.5in tall. 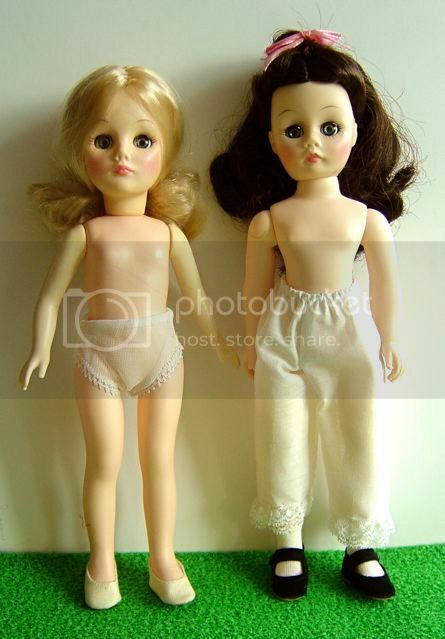 Note: we have a lovely selection of vintage clothing to fit these dolls, so please let us know what you would like to see, e.g. coats, dresses, evening gowns, etc. If you are interested in purchasing this doll, you can make an online payment by clicking the button below, or alternatively you can send us a cheque in the post.